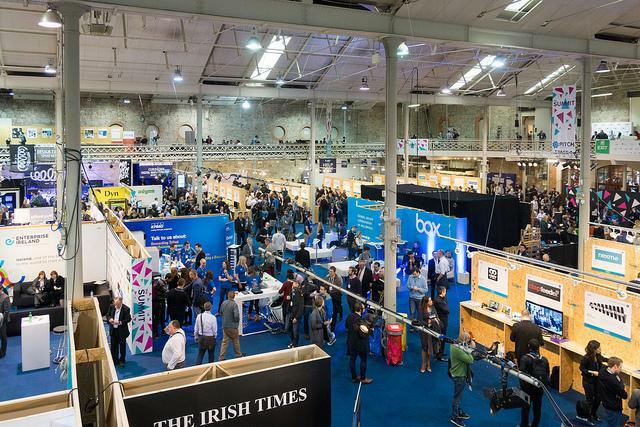 A month ago I had the pleasure of going to the Dublin Web Summit. Unfortunately, I managed to get Conference Flu that took me out of commission for a few days, followed by a busy few weeks of work (and other conferences!) so I didn’t get a chance to talk about my time there. There was a crazy amount of stuff to see and do, so I’ll see if I can get down as much as I remember over a month later! Jumped on a flight after work on the Tuesday and arrived fairly late to Dublin airport. They actually had a stand for the summit in the arrivals area to the event, and the taxi driver who took me to the hotel said he’d been taking fare’s all day from people. Really showed the size of the event! Met up with fellow Kainos-er James Hughes, who showed me some of the sights of Dublin and took me to a restaurant where I ate my bodyweight in buffalo wings. Some rough plans were made and we agreed on an early wake up the next day to go in. The noise, the people, everyone trying to catch your eye to tell you about their startup, people dressed up, videos playing everywhere, people trying to give you free stuff… all a bit overwhelming for 9am! 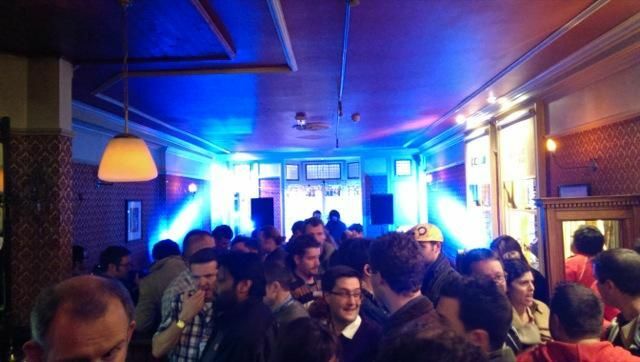 I quickly learnt that this is the main focus of the event: an insanely busy weekend for startups from around europe to demo their products and services, entice investors and potential customers and network. I even spotted the LE SmartLight, which a friend of mine had backed on Kickstarter. 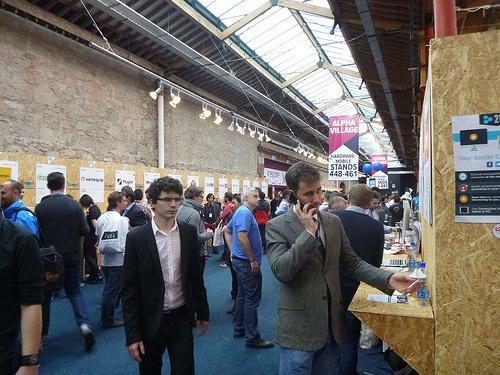 The startups on show were pretty awesome, a lot of variety and everyone keen to show off their tech. I talked to a few people and signed up for a few things, but it made me glad I was there as an attendee rather than an exhibitor, it looked pretty stressful! An app to encourage healthy habits. I mentioned Fitocracy to him and he said he’d check it out. Which is like a mini pen-test for your web-app. A personal brand management tool/portfolio sort of thing. 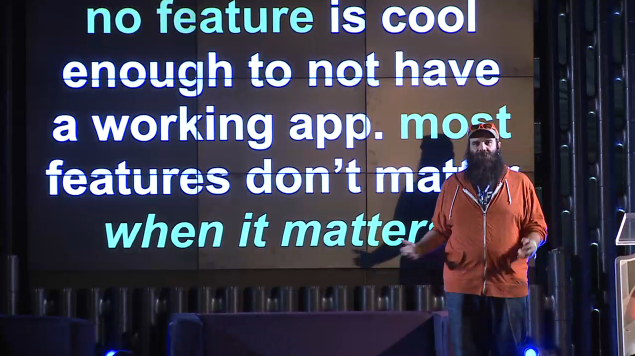 Basho - Talked about Riak, which I’ve heard a lot of buzz about. Whilst it’s another NoSQL database, it’s key-value rather than document based. They had a demo of it on display; a pretty cool visual of weather patterns, handling gigabytes of meteorological data in real-time. Atlassian - Talked about about HipChat. I’ve mainly used Campfire in the past, but Hipchat seems pretty cool. And it’s free for teams of 5 or less, which is always good. a) How? - How to transition into cloud services. b) Why? - Why is this better than a standard sever-farm? c) What? - “Cloud makes it better!” Erm, which provider, what services? So after that, I mainly stuck to the developer stage, with occasional breaks to talk to the guys on the startup floor. 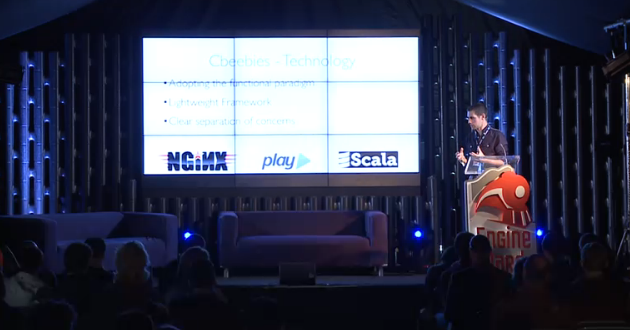 All the talks from the Development stage were streamed and archived and I’d recommend checking them out. 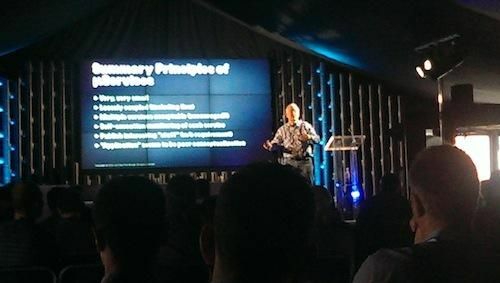 One of the best talks was Fred George’s talk on MicroService Architecture. I’d heard use of the term micro-services before, but mainly in the context of lightweight frameworks like Sinatra and Finagle. I’d never heard the implementation of them in a full system. The talk dealt with real-life application of a micro-service architecture on several large banking projects. 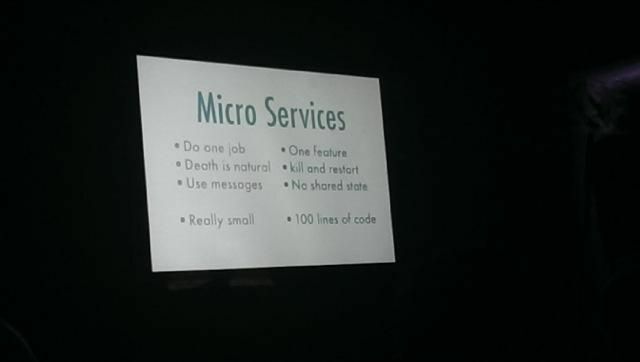 Microservices as a concept really struck a chord with me. It felt similar to the unix philosophy: well-defined, small and de-coupled components building into a complex machine. You don’t have to ‘touch’ too much of the application to make a change and it lets you iterate a lot faster. It seems like a really neat approach to manage the complexity of an application. But, what was really interesting was how microservices can be used on top of legacy systems, basically giving an arbitration level that allows you to build features quickly on top of a huge monolith without having to touch delicate legacy code that no-one really knows how to change. In fact, James did an excellent blog post about it that explains it a lot better than I can! Richard Rodgers talk on falling in love with technical debt was also extremely good. Whilst it had a bit of a bait of a troll-bait title, it was more of the reality of how to deal with technical debt. It’s always a dream of devs dealing with a large and creaking codebase to say: “I wish I could throw all of this away and start again!”. It’s one of those things that sounds great, but if you do you quickly realise it’s a bit of a Rose Tinted view to have. Technical debt normally spins out of all the edge cases you needed to fix to get your application working with real users, and you’ll probably end up just shifting that debt back in as you write them all again. 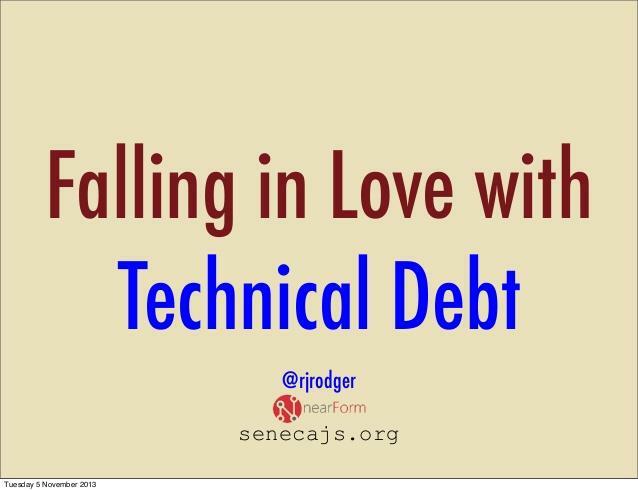 Anyway, the focus of the talk was that you couldn’t avoid technical debt, so better to mitigate debt, rather than the impossible task of avoiding it. And one of the suggested methods? Microservices. There were some other great talks that I missed but heard good things about, like Chad Fowlers talk on Disposable Components (services are like cells in a body: constantly dying and being replaced, yet the whole system continues to run) and Andreea Wade’s talk Developing Communities - a Coder, a Painter and a Builder Walk into a Bar about increasing diversity on tech teams, in terms of both people and ideas. After that, I drifted toward the main stage for some of the keynotes and interviews. The biggest was probably Tony Hawk, the grandfather of mainstream skating, interviewed by Kevin Rose. Sadly, no “LATE 360 SHOVE-IT TO BONELESS” but, Tony Hawk talked about his life, his charity work and foundation, and how the original concept of the PS1 Tony Hawk game had digitally modeled Bruce Willis skating around a post-apocalyptic wasteland…so a bit different from the final product really! The day drew to an end, and so on to the night summit. 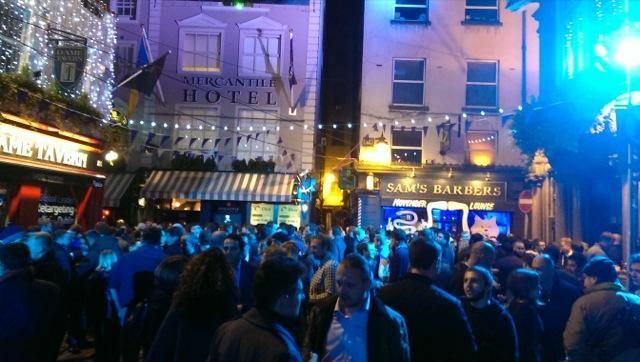 This consisted of a whole street of bars and pubs that had been taken over in the name of the summit, providing free drinks all night to attendees. So, after a little worse-for-wear after the drinks the night before, I managed to drag myself out of bed for a 9:30 talk. Dylan Richard explained how he got his systems (and in the process, his team!) battle-hardened, and able to handle the technical challenges of Barack Obama’s 2012 re-election. As he put it “Technology does not win an election, but you can lose because of it.”. Regardless of your political leanings, Obama’s tech-team knocked it out of the park compared to Mitt Romney’s failure to launch.. These are the basic tennants of the lean metholodolgy: get an minimum viable product out, and build on features later as demand occurs. It’s pretty refreshing to see this kind of mentality on a large Government project, especially one the size of a re-election campaign! So, the first one dealt with, the next issue is to deal with failure as it happens. And what’s the best way to do that: Break it and add resilience before the fact, rather than having to pick up the pieces when it falls apart on the big day. To do this, they had a Game Day: the campaign team built a staging environment that mirrored production as much as possible. Then they tried to break it. Hard. They were basically running a personalised chaos-monkey. They simulated the potential traffic of the main day of an election, and fixed the failures as they occurred. By doing this, they managed to see what sort of errors would occur, where the pain points were, and how to make them more resilient for the real thing. By this combination of ensuring that the key features of the project are defined, and then made resilient enough to withstand a large spike in users, you end up with a system that should be fairly bulletproof when it comes show-time. There was also the idea of a run-book of what issues happened for other people to pick-up and learn from. I’m not such a huge fan of run-books though. In this case it makes sense, since the game-day was only a few weeks before launch. But in the real world a run-book becomes out-of-date fairly quickly. But overall, it was a great talk and game-days seem like a really awesome tool to add resilience to a project and , At the end of the day, the only real way of testing your product is going to work in the real world is to simulate the real world as much as possible, not just get pen-testers to check it every once in a while. This is the technologic version of a literal smoke-test: force smoke through a pipe and see where it leaks. Fix the leaks, and try again. Immediately after was Gary O’Connor from the BBC. So in 2012 and the Olympics coming, the BBC had a mandate to move a number of services into the cloud. They started off with several pilot projects as a proof of concept and after they got all the major stakeholders on board, adopt it as a standard practise going forward. It was kind of interesting that apparently there wasn’t much of a scala footprint at the BBC team, but one person thought he could improve the approach taken on CBeebies, went away, spiked it in Play and proved that it was a good approach and got it signed off. It’s always nice when someone can trial and approach, prove it’s business value and get it implemented. He then talked a little about why they chose CouchDB over MongoDB and the general architectural approaches the team took in projects. So by this point, 2 days of free coffee, drinks the night before and rich food, combined with conference flu (Mental note: Use anti-bacterial hand gel next time, way too many handshakes going on…) were taxing my ability to take notes, but a few other great talks I saw were Building a World-Class Dev Ops Team in Dublin by Rich Archibold (“DevOps is Sysdmin’s agile”) and Why Semantic Web, Open and Linked Data Will Take Over The World by John O’Donovan (“Content is worthless without context: data is useless without human analysis”). 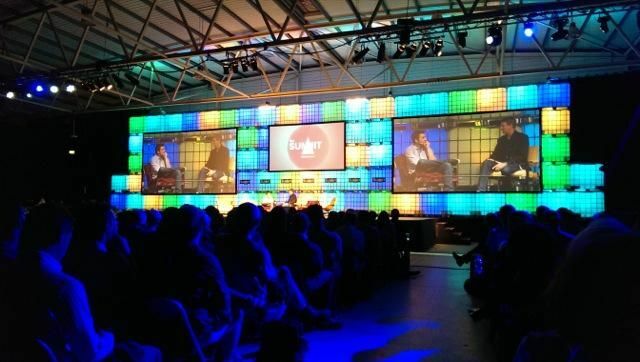 Whilst I think a lot of the Web Summit was focused on things way over my head in terms of startups, entrepreneurs and big-business, I did learn a lot from the developer talks, and it was really interesting to talk to the people from the various startups. Guinness does taste better from Dublin. It’s hard writing a month after the fact! But I hope you enjoyed my write-up, and look forward to getting more done in the future.